I got a Raspberry Pi 2 for Christmas, and finally took it for a spin this weekend… just as the community is getting ready to celebrate the Pi’s 4th birthday. After using it for a few hours, here’s what I’ve learned so far. The base Raspberry Pi 2 board is only about $35, but it comes with nothing else, not even an ac adapter. If you happen to have spare parts lying around, this may not be a problem. Unfortunately, I dumped my boxes of computer parts years ago when I stopped building PCs. A starter kit like the one from Vilros includes most of what you need to get up and running. 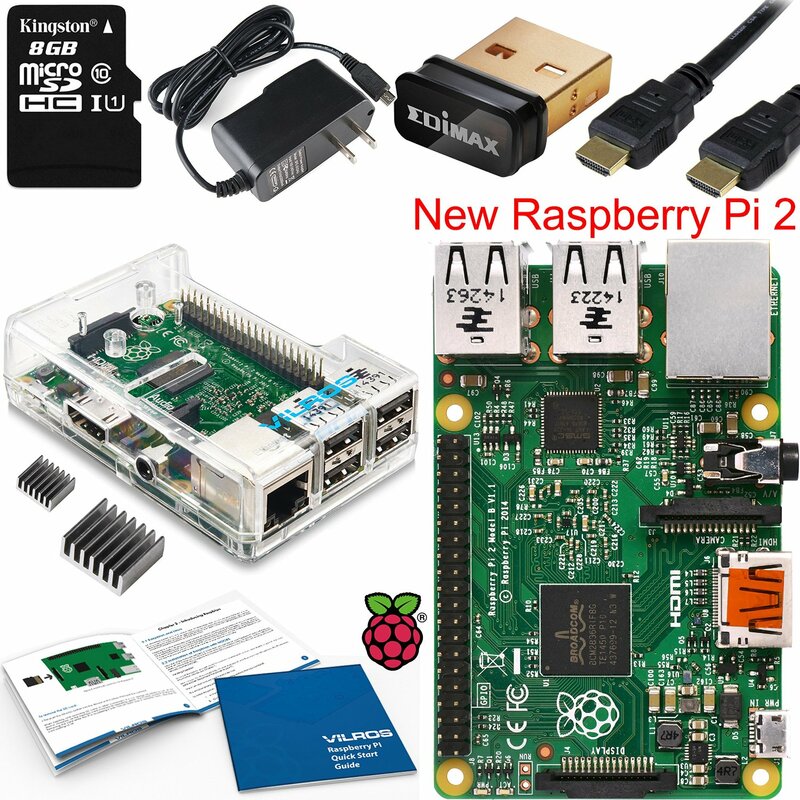 It’s about $70 (and includes the base Pi board), which is less expensive than buying everything separately. You get an adapter for power, HDMI cable for display, microSD card for memory, edimax wi-fi adapter for Internet access, and a nice sturdy case to protect your new Pi. It came with a manual that was pretty helpful too. Aside from the kit, you’ll also need a mouse/keyboard for input (with 4 USB ports, there’s plenty of space for peripherals). If you don’t have an old set lying around, pick up a pair for $15. If you buy more Raspberry Pis in the future, you may want to buy just the base board, unless you intend to have them all running and connected to displays at the same time. It seems everyone but me is already into these! Wow, there’s a lot out there. Finding resources is no problem at all. Here’s a few I’ve been checking out. The main Raspberry Pi site is a world of resources in itself, starting with their aptly named resources page. If you’re brand new, like me, the learn (or getting started) section is the place to begin. Especially if you didn’t buy a set with a user guide, there’s an online lesson for installing Raspbian with NOOBS. If you happen to use MIT’s Scratch for teaching programming basics, you can use Scratch on the Pi too. For teachers, there’s an area with lesson plans that break larger topics into multiple smaller lessons, each with stated objectives, such as Getting Started with Raspberry Pi. As if the project ideas on the main site weren’t enough, there’s the MagPi area of the site too. 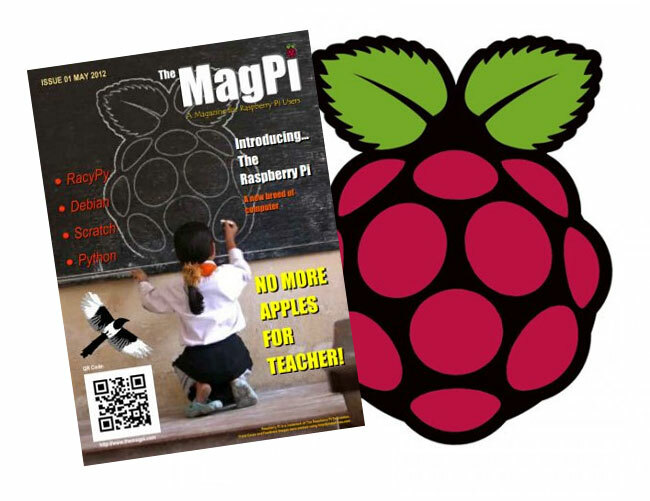 You’ll find tons of tutorials and other walkthroughs here, in addition to their official MagPi publication. They’ve got all the back issues available online. Two of them I want to check out asap are the Projects Book, and the Sense HAT Essentials issue. The Sense HAT is the new module packed with sensors, available to everyone and amazingly low cost considering what it offers. It was developed as part of the Astro Pi program the foundation is running with the ESA that gets kids involved with writing code that’s being tested on the ISS. A Raspberry Pi enthusiast since the Pi was first released 4 years ago, Matt Timmons-Brown has a channel on YouTube called TheRaspberryPiGuy, and a blog too. He’s produced a nice collection of reviews of the various Raspberry Pi models that have been released, as well as their different features and some applications of the Pi. I definitely intend to check out what he’s done… it’s even more impressive when you find out how old he is! If you intend to, you know, actually *do *something with your Pi, you’ll want to invest some time learning Python, which seems to be the language of choice on the Pi. I’m not sure yet if it’s the only language supported, but there are a handful of sample programs installed with Raspbian, and they’re all written in Python. One of the reasons I wanted the Pi was to have some fun with my kids, so here we are trying it out together. I used NOOBS to install Raspbian, which comes with MIT’s Scratch. It took me a whole 60 seconds to break my first thing. Not bad! When it comes to loading an OS for your Pi (typically Raspbian), there’s a program on the main site called NOOBS that makes the process simple (simple is sort of the MO for this whole Pi business). Just download it, unzip it to the card, and you’re good to go. Let me clarify. It’s okay to break the software. Your hardware should be nice and protected inside that sturdy plastic case. If you mess the config files up, or change a bunch of settings and aren’t sure where the heck you’ve ended yourself up, just wipe the card and unzip NOOBS to it again. Voilà! And isn’t that the point of the Pi? It’s an ultra-inexpensive computer with a free OS. Do whatever you want with it. If you mess up the software, start over. Even if you mess up the hardware, you’re only out $35, not hundreds. Looking forward to breaking um… seeing what else it can do! Are you just getting started with the Pi too? What’s your experience been like so far? Did you find it dead-simple, or run into problems?